Closely followed trader Art Cashin said that he won’t be too worried about the stock market’s move lower Tuesday as long as the S&P 500 doesn’t break a certain level. Stocks were lower Tuesday, with S&P 500 trading around 2,708, down about 0.8 percent. The Dow Jones industrial average was down more than 150 points. Cashin said investors were digesting a disappointing quarterly earnings report from Home Depot, which he said resulted in more fears about the broader retail sector. Cashin also mentioned rising interest rates. The benchmark U.S. 10-year Treasury yield, which moves inversely to its price, hit 3.06 percent Tuesday, its highest read since 2011. Markets are beginning to expect that the Fed will be more aggressive on interest rate hikes. 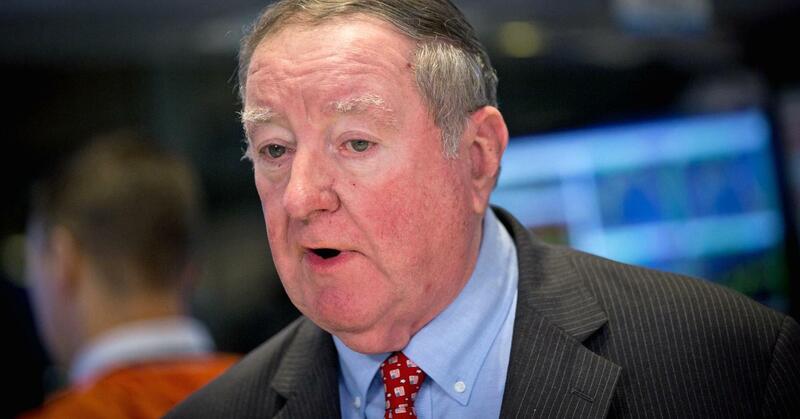 Geopolitical concerns, including President Donald Trump‘s tariffs on foreign countries and U.S-North Korea tensions, have become a little bit of background noise for the market, Cashin said. He cited the recent release of three American prisoners by North Korea ahead of a summit between Trump and North Korean leader Kim Jong Un. Concerns abroad are now “distilled” to the Middle East, Cashin said. Palestinians observed a strike on Tuesday to mourn the 58 people killed by Israeli troops in a mass protest on the Gaza Strip border. 0 responses on "If the S&P 500 gets much lower then I'll worry"